Honoring the 1985 first pick. Ewing Athletics will give Knicks fans something to smile about soon, whether or not their squad manages to win the NBA Draft Lottery this year. 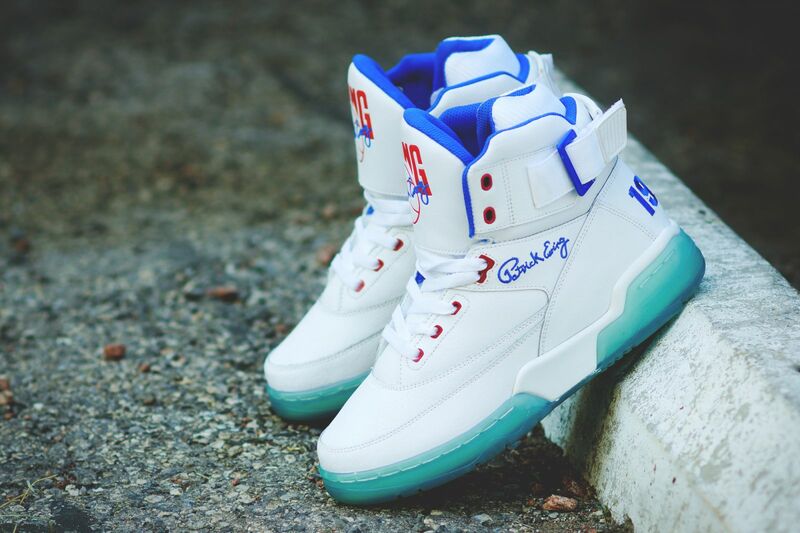 They will do that with this pair of Ewing 33 His, which references the Knickerbockers' first overall pick from 30 years ago that brought Patrick Ewing to the Big Apple. There was, of course, some controversy over the pick that year, and some conspiracy theorists still contend that the lottery was fixed. 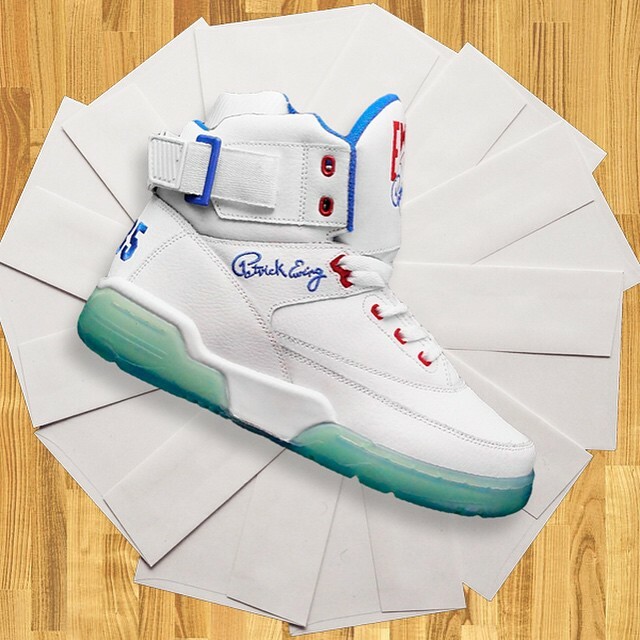 The Ewing 33 Hi "Draft Lottery" has an icy sole, "1985" inscribed on the heel, and a white upper made to match the envelopes that the league used to use for the contest. 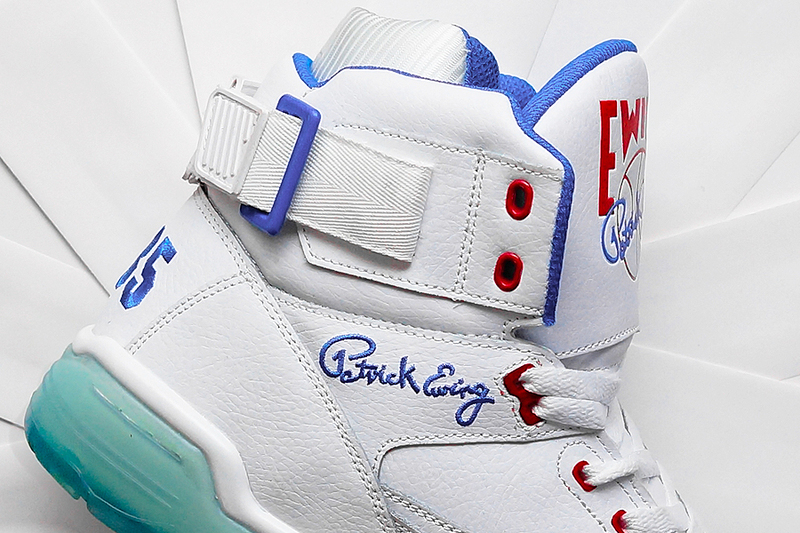 Ewing Athletics has given this Ewing 33 Hi a sneaker release date of Friday, June 5.